Since 1916, Thermador kitchen appliances have been synonymous with exceptional. Pushing boundaries is part of their very nature: they introduced America to the cooktop, rolled out steam and convection ovens, and opened the door to personalization with column refrigeration. The very essence of Thermador is defined by an insatiable desire to be better than yesterday. Their passion for everything culinary inspires them, ignites the flame of imagination, and transcends the ordinary while providing tools that transform your kitchen into a seamless continuation of your lifestyle. The Thermador Pro Grand range makes a big statement: it's the ultimate culinary powerhouse for those who crave more out of every dish they create. Achieve your biggest culinary creations with extraordinary ranges and ventilation units and revel in the cutting-edge innovation, personalization and exceptional versatility of the Ultimate Culinary Center and Ultimate Entertainer’s Center. Even your most complex recipes are no match for Thermador ExtraLow. It offers a wide temperature range, with simmer settings as low as 100°. Get precisely the amount of heat you need for any recipe, from delicate sauces to delectable desserts, and ensure that your culinary creations are as exceptional as you envisioned. Lighting a heavenly fire under the status quo, the exclusive, patented Star Burner is perhaps the single most iconic innovation from Thermador. But the star shape isn’t just for show. 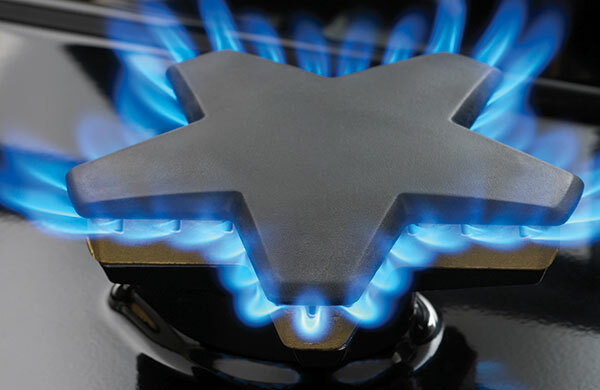 Featured on all Thermador Professional Ranges, cooktops, and rangetops, the Star Burner delivers 56% more coverage with superior flame spread and reduced cold spot for faster and more even heating across any size pan. Induction Cooktop Collection: More Flexibility. More Exceptional. 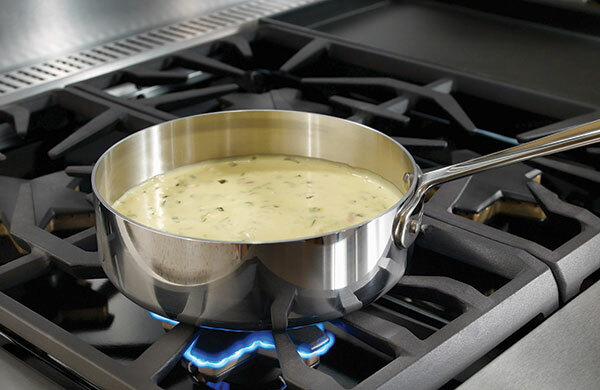 Thermador offers an innovative induction cooktop collection, featuring sleek designs to complement any kitchen. Thermador Induction provides superior precision for even the most challenging of recipes, offering plenty of control, movement and personalization. With innovative new features and customization possibilities, the New Freedom Refrigeration Collection boasts a versatile array of refrigeration and freezer options. Whether you are delighting dinner party guests with exotic ingredients, inviting friends over to sample rare vintage wines, or storing home-grown fruits and vegetables, your stainless steel or custom-panel refrigerator will reflect what you love. With styles and sizes for every kitchen, Thermador offers a variety of personalized configurations to suit your culinary needs. Achieve your biggest culinary dreams with standout design and unmatched performance — from customized cooking surfaces to oven cavities. Exceptional meals are made with exceptional cooktops. And Thermador gas cooktops featuring the patented Star Burner have been a culinary icon for generations, delivering precise control, innovative design, and exclusive features that truly enhance the cooking experience. Available in sleek designs to complement any kitchen, Thermador induction cooktops provide superior precision for even the most challenging recipes, offering multiple means of control, movement and personalization. Available in two bold styles — Masterpiece or Professional Series — Thermador convection, steam and speed ovens serve as the perfect sous chefs for exceptional cooks. With a sleek design, a stainless steel finish, a full-color LCD screen, flush installation, settings for large cups, a hidden milk container and front access to espresso beans and water, the Thermador built-in, fully automatic coffee machine is every espresso connoisseur's —and tea lover’s — dream. A wide variety of overhead, downdraft, and island ventilation options match Thermador cooktops in both size and performance, offering flexibility and personalization — all with design that echoes the thoughtful details of your Thermador suite. Preserve every incredible moment in your culinary adventures with the new Freedom Refrigeration Collection. Featuring leading innovation, extraordinary design and virtually unlimited personalization, every element has been meticulously crafted to let you flavor life the way you like it. Thermador luxury dishwashers are the perfect fit to handle your dishes before, during and after a dinner party, with unparalleled performance, capacity, speed and flexibility— not to mention sheer beauty, with an option for flush, custom panels and a choice of two sleek handles. The combination of subtly sweet honey and tangy lemon make this cake the perfect coda to any gourmet meal. Get a jump on your morning with this healthy, low-cal breakfast, packed with vitamin-rich superfoods. The Thermador Kitchen Design & LookBook provides you with all the necessary tools needed to design “the ultimate in cooking performance” kitchen.